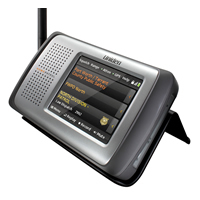 Super low prices, World Wide Shipping on Uniden police scanner radios. Latest Bearcat scanners like the HomePatrol-1, BCD396t, BC72XLT, BC92XLT, BC898t, and BC246t Bearcat scanner radio. Latest standard and trunked Uniden scanners. 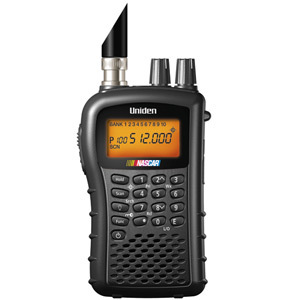 Uniden Bearcat police radio scanners are top of the line units that can receive police, fire, aircraft, CB radios, amateur radios, NASCAR and much more. There are three basic police scanner types: Conventional, Trunked and Digital. Trunked will receive Conventional signals and Digital will receive all three. To find which type is suitable for your area you will need to find out which of the three system types are used in that area. Digital is becoming more popular all of the time with state and local government agencies, police and fire departments, especially in metropolitan areas. 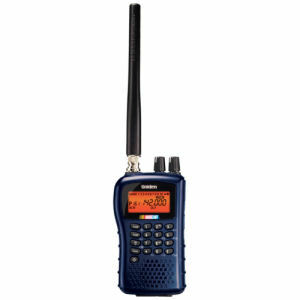 We keep our products updated with the latest models of Uniden Bearcat police scanners as older radio scanners are becoming obsolete with the increased use of trunked and digital systems. 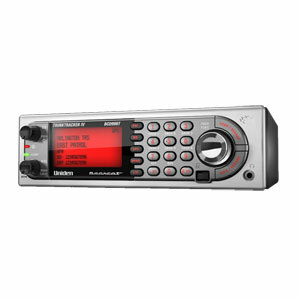 The Uniden HomePatrol-1 radio scanner lets you quickly hear the communications systems used by Public Safety, Aircraft, Military, Weather Spotters, and More. Simply enter your zip code and HomePatrol-1 does the rest. Whether it is across town or across the street, HomePatrol-1 keeps you informed. Great for use as a mobile base or handheld. BCT15X Mobile BearTracker Scanner with 9,000 Channels and GPS Support. The BCT15X comes equipped with Uniden exclusive features like Advanced Dynamic Memory System, "Close Call" RF Capture Technology, and GPS. *S.A.M.E. Weather Alert - Specific Area Message Encoding - During a NOAA Weather or Emergency Alert, a code for your specific location will alert you to severe conditions in your immediate area. *Backlit Keypad - Makes it easy to use in low-light conditions. *Compact Design - The Uniden BC72XLT is designed to be compact for added flexibility and portability. *This item is discontinued but we do have a few Factory Reconditioned (FR) units. *Compact Design - The Uniden BC92XLT is designed to be compact for added flexibility and portability. *Frequency Coverage**** - Includes the most interesting "action" bands where you can hear police, ambulance, fire, amateur radio, public utilities, weather, and more. 25-54,108-174,406-512,806-956(excluding cellular). Receives some cellular image frequencies (cellular harmonics) when scanning. *Compact Design - The Uniden BC 125 AT is designed to be compact for added flexibility and portability. *Close Call RF Capture - Includes Do-Not-Disturb mode for rapid stealth signal captures. *6 Preprogrammed Service Searches - Frequencies are Preset in Separate Police, Fire/Emergency, Aircraft, Ham, Marine (by channel) and Weather Banks to make it easy to locate specific types of calls.